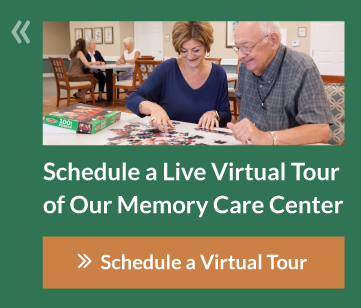 Specialized Memory Care . . . Family Centered. Physician Connected. 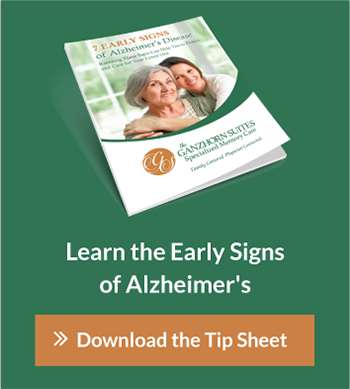 At The Ganzhorn Suites memory care center in Columbus, Ohio, we care for individuals in all stages of Alzheimer’s disease and other forms of dementia. What that means for residents is a stable place to call home as the disease progresses. We understand that each resident experiences a unique journey, so our care and programs adapt to fit each individual's needs, strengths and abilities as they change. We focus on health and purposeful living through clinical services and enhanced enrichment programs. Our care model is constantly evolving to reflect current best practices for Alzheimer’s and dementia. Our highly qualified, experienced team members have specialized dementia training and certification. In addition to becoming Certified Dementia Practitioners, our caregivers pursue opportunities to learn more about dementia care with lectures from experts such as Teepa Snow and renowned Ohio State University neurologist, Dr. Douglas Scharre. We offer exceptional staffing levels with nurses on site at our memory care center in Columbus, Ohio 24 hours a day. Our staff-to-resident ratio is nearly twice what you’ll find at typical assisted living centers. In fact, it’s one of the highest you will see at any memory care facility. We are committed to meeting the evolving needs of our residents, and those of the surrounding community. Members of our leadership team are involved in organizations that improve the lives of older adults, including the Upper Arlington Commission on Aging Older Adults Resource Group, Ohio Assisted Living Association, Central Ohio Chapter of the Alzheimer’s Association and SourcePoint. Our personal, heartfelt determination to make a difference in the lives of those we serve is what makes our community different from any other memory care community you’ll find in Columbus, Ohio.